Natalia Rose works with some of the world's most health- and body-conscious men and women. Her private practice is in the heart of midtown Manhattan, where she is sought after by a wide variety of clients, including models, actors, socialites, and media personalities. She has been in private practice for more than ten years and has also served as the nutrition director for the Elizabeth Arden Spa on Fifth Avenue and the Frédéric Fekkai salons and spas. 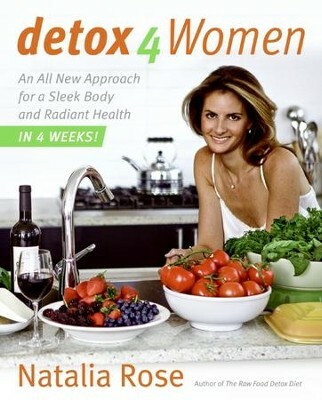 I'm the author/artist and I want to review Detox for Women: An All New Approach for a Sleek Body and Radiant Health in 4 Weeks - eBook.